ABE International Business College is one of the best schools offering HRM, Business and Tourism. It takes pride in the fact that it has an international OJT program that allows its students to learn and earn in countries like Singapore, Thailand, United Arab Emirates, Canada, Australia, United Kingdom, New Zealand and USA. 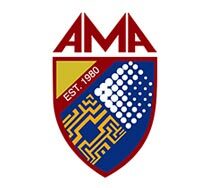 Being a member of the AMA Education System, ABE has access to its international and expansive network which gives the school a distinct advantage over other HRM, Business and Tourism schools in the Philippines. The ABE International OJT Program. Work, earn and travel for ABE students. Tie-ups with local and international companies for OJT for students. Assistance in facilitating paperwork, airfare and accommodation. Monthly salary or allowance + overtime pay. 2. Area with a minimum of 1,000 sq. meters available space as per Commision of Higher Education requirement.